A native of the North Country, Dr. Scott attended Morristown Central School, graduating in 1987. Earning a Bachelors degree from Potsdam College, Dr. Scott moved on to the University of Buffalo School of Dental Medicine accomplishing his Doctor of Dental Surgery degree in 1995. 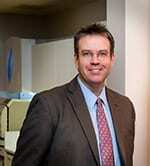 Dr. Scott works tirelessly to bring world-class dentistry to the North Country. Founder of the Thousand Island Center of Dental Technology at Clayton Dental Office, Dr. Scott routinely travels the country learning techniques and new approaches to dentistry from today’s leaders in dentistry. Invisalign, MDI implants, Oral Conscious Sedation and expanded technology in guided implantology and sleep apnea are all examples of the ongoing effort to expand treatment alternatives. While extremely proud of his dental team and enjoying the dental arts, he is most content being with his family. He and his wife KI enjoy being anywhere and doing anything with their three beautiful children Hunter, Romi and Ruby. 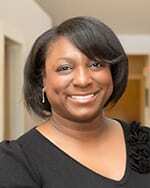 Dr. Natashya Fraser has joined the Clayton Dental Office. We are so excited to bring you this news! Dr. Fraser has been working locally for some time now and has graciously made the transition to our office. Her knowledge and technological skills are top notch and she is ready to take care of your dental needs. Receiving her doctorate in dental surgery from Meharry Medical College in Nashville, TN, she brings with her a wealth of knowledge and highly advanced skills, enhancing the amazing experience our patients have come to expect. Her passion for her profession is evident and her gentle, caring demeanor will set even the most apprehensive person at ease. She is ready to answer your questions and help set you on the road to optimal dental health and to achieve the smile of your dreams. 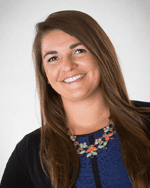 Dr. Chelsea Eppolito has joined the Clayton Dental Office. We are so excited to have Dr. Chelsea return to her hometown to practice Pediatric Dentistry. A lifetime resident of Clayton and graduate of Thousand Islands Central School, she received her BS in Biology (2010) and Doctor of Dental Surgery (DDS) (2014) from SUNY at Buffalo. Deciding to specialize in Pediatrics, she completed a Pediatric dental residency at St. Christopher’s Hospital for Children in Philadelphia, PA., where she added to her knowledge, skills and abilities by becoming the Chief Dental Resident. Dr. Chelsea is committed to providing sedation and dental services to the children of the greater North Country community in a safe, non-threatening environment. She brings with her an innovative, high-tech approach to serving all children in a delicate, compassionate manor. She is ready to help you optimize your children’s dental health, setting them on the path to a happy, healthy smile for a lifetime! We have designed and fortified a dental office that is dedicated to excellence, both in the disciplines of dental science and art, but also to constructing the greatest interpersonal relationships amongst ourselves, and our patients.